There’s quite a bit of lore surrounding beer-can chicken, and for good reason. Just look at that burnished mahogany bird. The steam from the brew flavours the meat and keeps it moist. 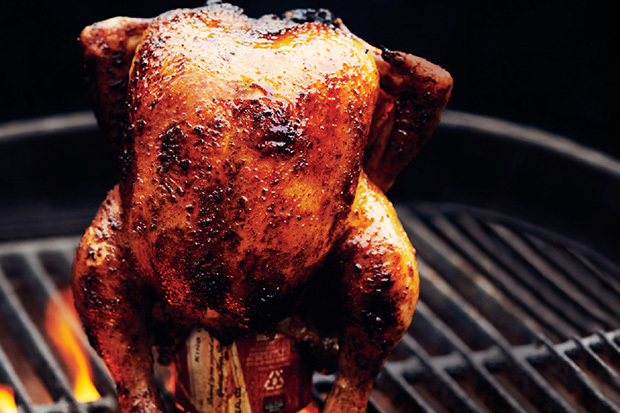 The can props the chicken up, so it roasts evenly—no scorching, no flipping, no stressing. And you get to drink some beer. We’re believers.